*Add a drop to your hand, mix with facial moisturizer, and treat your skin to a mini facial massage. *Make a basic homemade body scrub by combining coconut oil, sugar, and Lavender essential oil. Start with 3–4 drops and gradually add more as desired. *Create a spa-like retreat by combining 1 cup Epsom salt and 4 drops Lavender and adding to a hot bath. Great for smoothing and nourishing all skin types, Cedarwood oil is a very versatile oil with a rich, woodsy aroma. Because this oil also benefits hair, it’s a great choice for nourishing skin on the scalp. *Smooth skin on the face or body by adding a few drops Cedarwood to your favorite lotions. *Add 3–4 drops to a bowl of hot water. Cover your head and the bowl with a towel and breathe deeply and slowly for several minutes to open pores and enjoy the calming aroma. Follow up with a facial massage that includes 1 drop of Cedarwood oil. *Mix 5–6 drops of Cedarwood with a small amount of coconut or argan oil. Massage into your scalp 30–60 minutes before showering, then wash and rinse hair as normal. I can't wait to announce the winner! This kit was so popular it is now out of stock so I think that makes it an even better giveaway! What a perfect Mother's Day gift! Good luck! If you ever have any questions about how to get started with essential oils just let me know. Our educational tools are hands down the best on the market. I love the sparkly effect the sun always makes when it shines on the snow. Our Creator is such an amazing artist. I love being able to capture just a tiny piece of it through my lens. It's something that I have always loved to do and I imagine will continue to do until I no longer can. So many exciting things coming down the pike for this business next year. Looking forward to watching it grow and helping other families to obtain the goodness of it all. If you have been thinking about joining and are on the edge please don't hesitate to ask questions. I am here and have been learning so much knowledge to share with someone just like you. 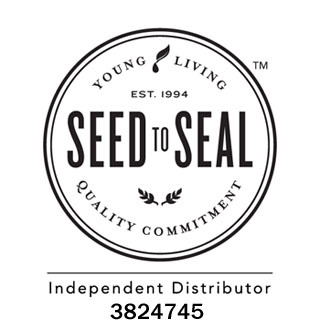 I am so blessed to know so many amazing people that are making their dreams become reality with Young Living. A lot of behind the scenes business planning and dreaming have been going on since my return. I can't wait to start sharing. If I don't get a chance to get back on here before Christmas, I wish you and your family much happiness and health for the coming year. Spend some time with the ones you love this holiday season and join me in trying to slow down if only for a few days. from all my old failures."